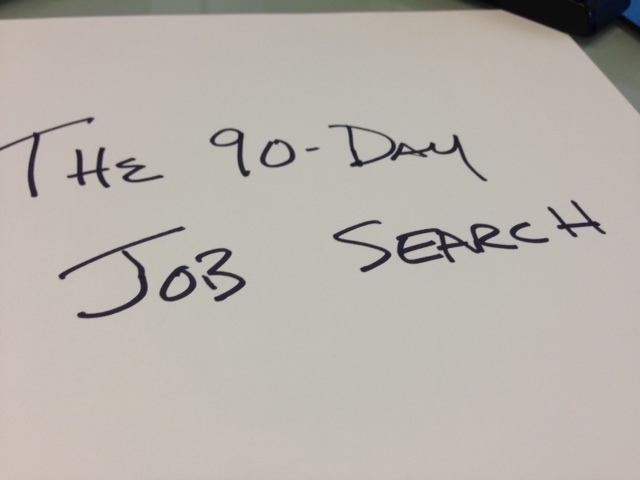 The 90-Day Job Search | Get Employed! With Labor Day quickly approaching, it is time to energize your job search. You have 90-days to get situated in a new job before the holidays, when not much hiring will be done. These next three months are critical in your hunt for a new job. They are the last days of hiring before most companies “check out” in terms of hiring, until February, 2014. Whether you are unemployed or underemployed, the time to focus on you job search is now. This is a critical time of year for you to attempt to get in front of the hiring managers. The goal is to get a job offer by early December, so you, too, can enjoy the holidays, knowing you have a new position come January. So what can you do to step up your job search? First of all, you need to stay completely focused on your goal of finding a new job. It needs to be your primary passion for the next few months and you have to dedicate as much time as possible to the process. Spend time making sure that your résumé, LinkedIn profile and other social media sites best reflect who you are; this is essential. 85% of companies use LinkedIn and Facebook for recruiting, so make sure you have a great profile and accurate story about who you are. What every person needs is a great story! You should create a summary of who you are and what you can offer a company. This story needs to be concise and interesting and should have some information on your past achievements, yet mainly focus on what you have done over the past five years. Search through your social media contact lists on Facebook, LinkedIn and Twitter to create a list of people you feel comfortable in networking with in your industry and/or a sector you want to gain access. We all have hundreds, if not thousands, of people in our contact database on these sites that we just forget about and never reach out to! Instead, we spend all our time and energy in taking photos and trying to get Likes from the same people when we should be networking with others in our online network we don’t know. Using social media for networking will energize your job search and give you a jump start. But, you need to make sure you are specific in your request for help by identifying what you need from your contacts. Take time to determine what you are looking for from “each and everyone” you reach out to. They can’t help you if you don’t know what you need from them. Help them, help you. Create a database for your job search and make sure to keep it updated. Never send a mass blast on social media sites when you are looking for help. Contact everyone privately and develop a relationship with them. Most people want to help those in need, but take offense when approached by a mass mailing. Keep reaching out to your network, continue to apply for jobs at targeted companies and responding to on-line postings, remain flexible in your terms for employment and you will find a job in 90-days. It works. Companies are hiring, there is no excuse to sit on the sidelines.